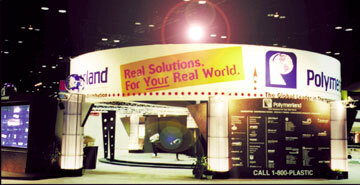 As part of the year-long campaign to position Polymerland's value in the plastics industry TGIF strategized and created a dynamic presentation environment within the 2400 square foot booth space at the National Plastics Exposition, the largest show of its kind anywhere. 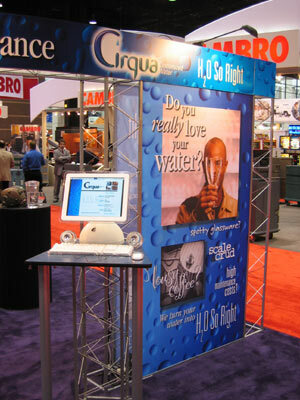 With exceptional branding and visibility, the booht was a focal point for attendees. 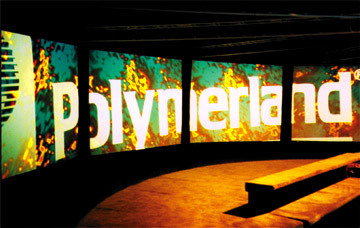 Inside we created a 5-screen multimedia presentation using slide and video projections to deliver a powerful message about Polymerland's ability to deliver on the needs of the customers. TGIF wrote, shot, produced, staged and managed the show and after four days of NPE it had been seen by close to 8,500 attendees. TGIF manages every aspect of trade show brand presence, from graphics production, booth design, pre, during and post-show promotion, in-booth presentations, collateral and even booth sales force prep.